Zebra Finches are small, colorful birds that are extremely popular with pet bird owners. They are renowned for their ability to sing beautiful, complex songs. When kept in groups of no less than two, they are relatively easy to care for and do not demand as much attention from their owners as would a small parrot. The Zebra Finch’s scientific name is Taeniopygia guttata. There is one subspecies, Taeniopygia guttata castanotis, which is the species most commonly kept in captivity. The castanotis is native to Australia, while the nominate species comes from Indonesia. According to animaldiversity.org, their native habitat is savanna and sub-tropical dry areas, where they favor habitats with little vegetation. In the wild, their diet is mainly grass seed. These small songbirds also go by the name of Spotted-sided Finch and Chestnut-eared Finch. The zebra moniker comes from the distinctive gray and black striping across the upper breast of the male finches and its black and white tail. The rest of the male’s body is grey with a white underside. Females are primarily grey with no chest barring. Males also have orange cheeks and a darker red beak than the females, making these birds very easy to identify by gender. These finches are about 4 inches long (10 cm) and weigh from 1/2 to 1 ounce (15-30 grams). Zebra Finches have been bred in captivity for many years producing numerous mutations and color variations. Some of these are the Pied, White, Penguin and Crested Zebra Finches. 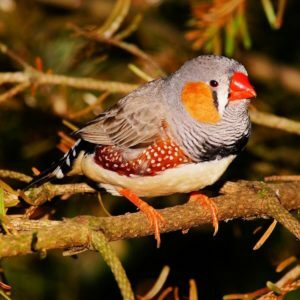 What Is The Appearance And Sounds Of The Zebra Finch? Zebra Finches are very active birds that will thrive in a roomy cage where they can move around freely. They are fairly quiet birds due to their size but do like to chirp throughout the day. These birds will not mimic human words, opting for their own, unique language. In the Zebra Finch species, the males can sing but the females cannot. According to earthsfriends.com, the males are known among bird lovers for their ability to produce loud and complex songs. Each male Zebra Finch develops its own unique song, based on the song of its father. Here is a video of a pair of Zebra Finches chirping and singing. How Will Zebra Finches Behave? If you are looking for a bird that will enjoy being handled, the Zebra Finch would not be a good choice. With patience and time you can build up trust to the extent that a finch may alight on your finger, but beyond that, these birds are to be admired from a distance. You can attempt to finger train them by entering the cage several times a day with your hand and offering small treats. You may be rewarded by them landing on your finger in due time. These very active birds love to fly around their cages, moving from perch to perch and can amuse themselves by conducting long inter-avian conversations. This is why Zebra Finches are best kept in pairs, and many finch owners have multiple pairs living together. When kept in this way they do not need much daily interaction with their human companions. 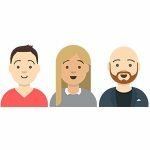 Simply talking to them when you are around will satisfy their need for your direct attention. When you are away, a softly playing radio will keep them occupied. They can be kept with other finches, but caution needs to be taken when choosing another species. Australianfinches.com provides a compatibility chart that will assist you if you want to keep multiple species together. An aviary of mixed finches that get along with each other makes for a very interesting visual and aurally pleasing avian display. As these birds will not be directly interacting with family members, they are suitable for families with small children. These small birds are not prone to biting and will rarely injure even a small child. Your finches will do well at room temperature, but with acclimation, they can tolerate temperatures from the upper 40s to mid-80s Fahrenheit. Though they are small birds they do better in a large cage or aviary where they can fly around. A longer horizontal cage with more flying space is better than a high or round cage. See our dedicated guide to finch cages available here. Bar spacing should be no more than 1/2 inch and the minimum cage dimensions for a pair of Zebras is 20x24x24 inches. Your birds will do much better with a larger cage, but care should be taken with the bar spacing. Many larger cages are designed for cockatiels or other larger birds and the bar spacing may be too wide to safely house your finches. A nest box for sleeping is another accessory that should be included in their cage. Finches do not use toys in the same way that parrots do, but they still appreciate ladders, bells and other toys in their cage. Avoid any toys with strings or other materials that the bird can ingest. Ample perches should be available, but do not use sandpaper perches as they are not good for the finch’s feet. They usually do not require nail clipping. Zebra finches do not have an annual molt. They lose feathers gradually over the course of the year. Baths are appreciated and should be made available to your bird on a regular basis. Your bird has modest dietary requirements and will do fine on a commercial finch mix of seeds. Drinking water, a cuttlebone, and some grit will round out their needs. Fruits and vegetables can be offered as a treat, and millet is a favorite of these birds. It is legal to breed Zebra Finches and in fact, it can be hard to stop them. If a nest box is available, as it should be for sleeping, they will try to breed. When breeding, you should house only one pair per cage as they can be territorial during this time. Hens will lay from 3 to 8 small, white eggs at a rate of one per day. They make good parents as this video demonstrates. You can expect your finches to live for about 5 to 7 years, though some do live longer. They are hardy birds but do have some potential health issues. According to beautyofbirds.com, Australian finches are prone to iodine deficiency, which along with stress and parasites can cause feather loss. What Is The Price Of The Zebra Finch? Standard Zebra Finches run about $20, with some of the more colorful mutations costing upwards of $75. They are not expensive to keep when compared to other pet birds. They are not destructive to their toys and their small size limits their food requirements. A spacious cage with properly spaced bars is a must when keeping Zebra Finches. How Do You Know If A Zebra Finches Is Right For You? If you want to simply enjoy some fun birds from a distance then the Zebra Finch is a good choice. They will not bond with you in the manner that parrots will, but this also means you need to devote less direct attention to them. These birds will fill your house with their happy chatter as you enjoy watching them interact with their cage mates. I had a pair of finches that lived for 12 &13, respectively. They enjoyed time to fly outside of the cage & play in my doll house when I was a child) regularly perched and seemed to enjoy my time with them. Sweet birds. I didn’t know they preferred other birds company to humans. My favorite first 2 pets! They got grumpy their last year of life. Well…who doesn’t? Zebra Finches really can be great pets and I’m pretty amazed you managed to look after them for 13 years – that’s really old for a finch! You must have looked after them really well! Our Zebbie is definitely 13 years old, possibly 14. We know,for sure, that he was with us at a landmark moment for the family in 2005, but can’t remember if he was already a year old at that point. Oh, and he’s a hell of a little character, too, interacting with us, and we know his language. He yells for my hubby to come see him as soon as he hears the door at the end of the day, and has a song, then a spin and flutter dance on hubby’s hand, as greeting. I could wrote a novel about his personality. We thought we’d have a quiet pet. He’s a very personable member of the family. Sounds like a bird that’s full of personality! It’s great that you have such a long lived Zebra Finch. I guess it just goes to show that with proper care, a bird can live an extra long and healthy life, far outliving it’s natural life expectancy. Kind of like how humans now live much longer than we used to. 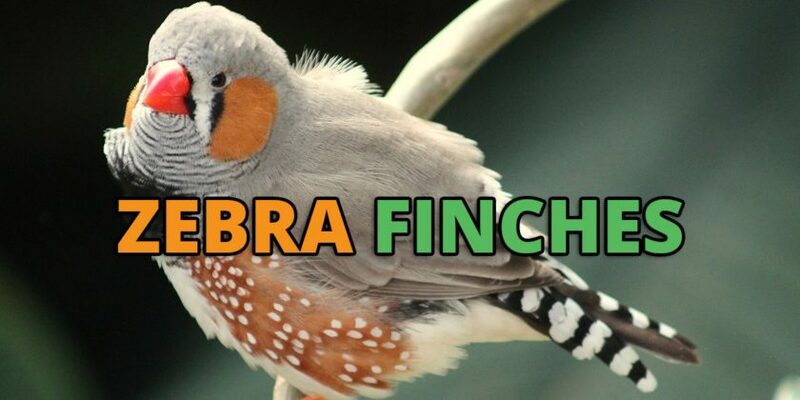 Thanks for all this great, helpful information about Zebra Finches! Let her finish laying eggs until the clutch is full and finished. Replace those eggs with dummy eggs. Give her a 3 weeks of time brooding over these eggs before removing them. Reduce the length of the day for the pet bird using a bird cage cover. Long days are an environmental indication to start breeding. Remove any potential nesting locations such as nest boxes or any dark areas. Consider using a double cage to separate the birds, so the birds can be next to each other but not able to breed. I must have had my finch for about 13 years but as he is older his beak seems a bit overgrown on the top but he is still eating his seed?